A Hundred Hands is organizing Mango Collective- A range of exquisitely Handcrafted products and Homemade goodies inspired by the Mango season. 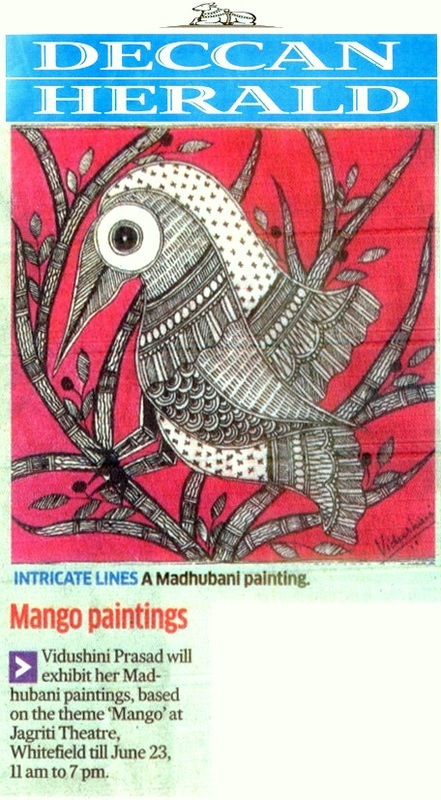 I would also be displaying some of my recent Madhubani work based on Mango theme at the show. 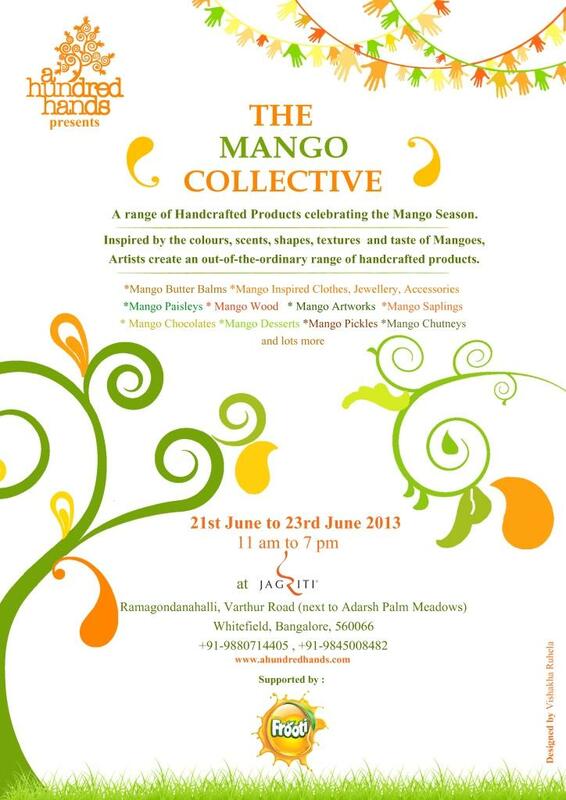 It is on at Jagriti Theatre in Whitefield, 11 am to 7 pm, 21st to 23rd June.